I love mundane stuff that’s made from cooler, more interesting stuff. If you’re like me, then you’ve probably been temped to buy a messenger bag made out of a parachute from a Soyuz rocket, or a coffee table made from a V12 engine block. 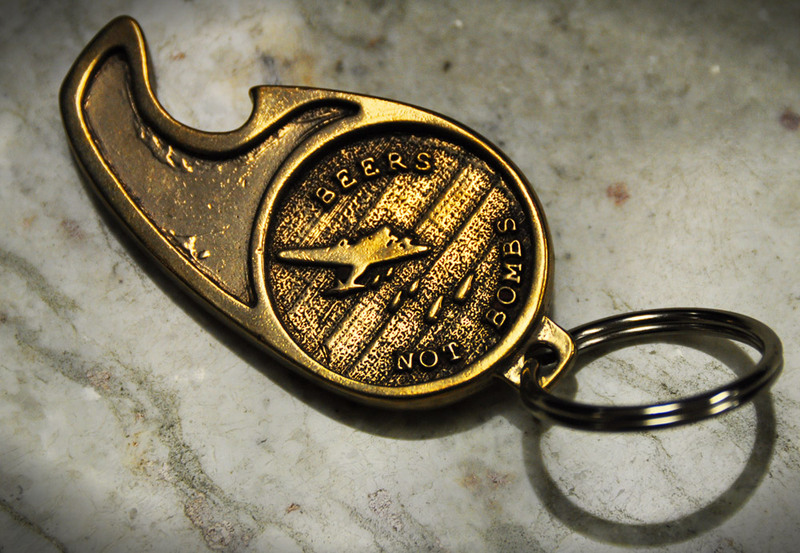 Now there’s something else to add to that list just for beer geeks – bottle openers made from disarmed nuclear weapons systems. 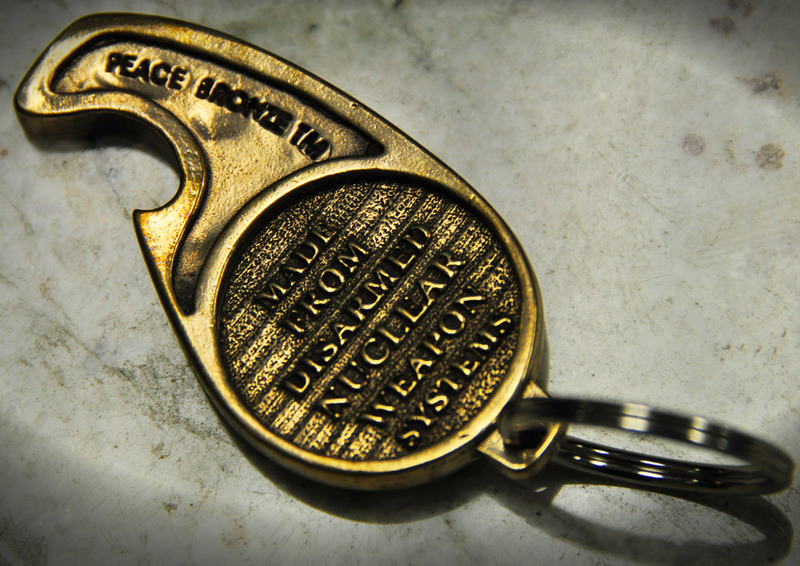 That’s right, for about 20 bucks you can get a bottle opener made of “Peace Bronze,” an alloy created from copper cables that once sent launch signals to the most powerful weapons ever built. It’s the brainchild of a company called From War to Peace, who also makes hippie-happy jewelry from the stuff. 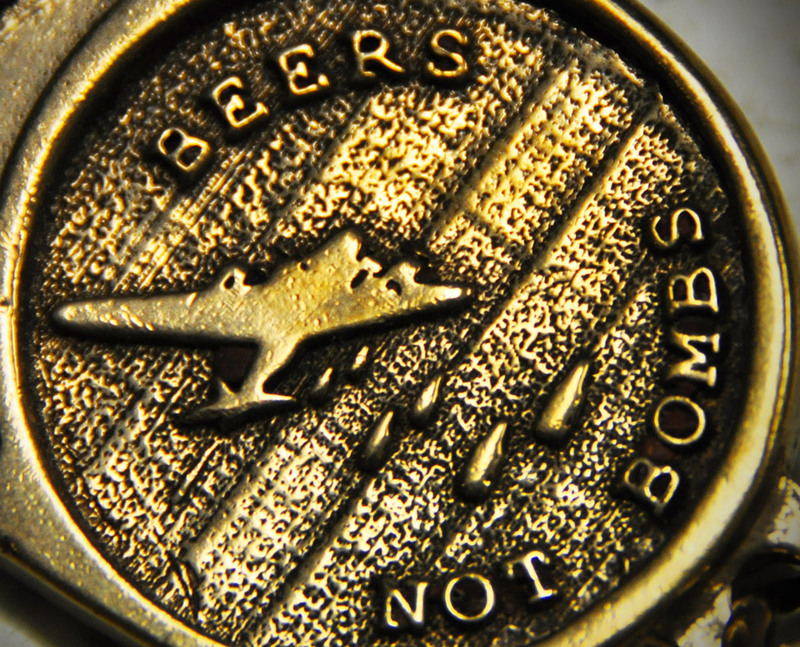 There are a few designs to choose from, and each opener features the slogan “Beers not Bombs,” putting forward the idea that the world would be a better place if we spent less time building weapons of mass destruction and more time drinking beer. It’s hard to argue with that. I have to say I’m a sucker for this kind of stuff and I love the “maverick” style key chain the From War to Peace folks sent my way. It’s functional, fits on my key chain and is a fun conversation piece. I think it’s a great gift idea for just about any beer geek (except Reagan Republicans – it might just make them mad). I like the concept and it looks very cool, but they alienated a large number of potential customers. Take the political statement off and I’ll snag one today. You mean “Beers Not Bombs”? Maybe they can run a few off that say “Beer AND Bombs” – this way they cover their bases! Will it open a bomber? The irony is that yes, it WILL open a bomber! That’s hot. Makes me wanna down a couple bombers. That would be a hilarious statement if the copper was from ground-to-air defense systems! Minor correction. The proper term is “surface-to-air”. Ground ignores the 70-ish% of the earth that is water. But that would be an awesome marketing gimmick. Interesting and kinda cool. I hope it doesn’t come with a Secret Service entourage complete with the football filled with beer bottle opening codes. Those things would be harder to fit in your pocket. Yeah, you need two keys twisted simultaneously to use the thing! My oldest brother is a Reagan Republican and I think this would make a great gift for him. In fact, I’d relish the chance to give him something really cool that might just piss him off. Last year, I got him a book- “Rosie Greer’s Needlepointing… FOR MEN!”- and the year before that, it was Connie Chung’s autograph. So getting him something he could use for once might be a nice change of pace. Love it! Just bought 2 bottle openers, the ‘The Bomb’. 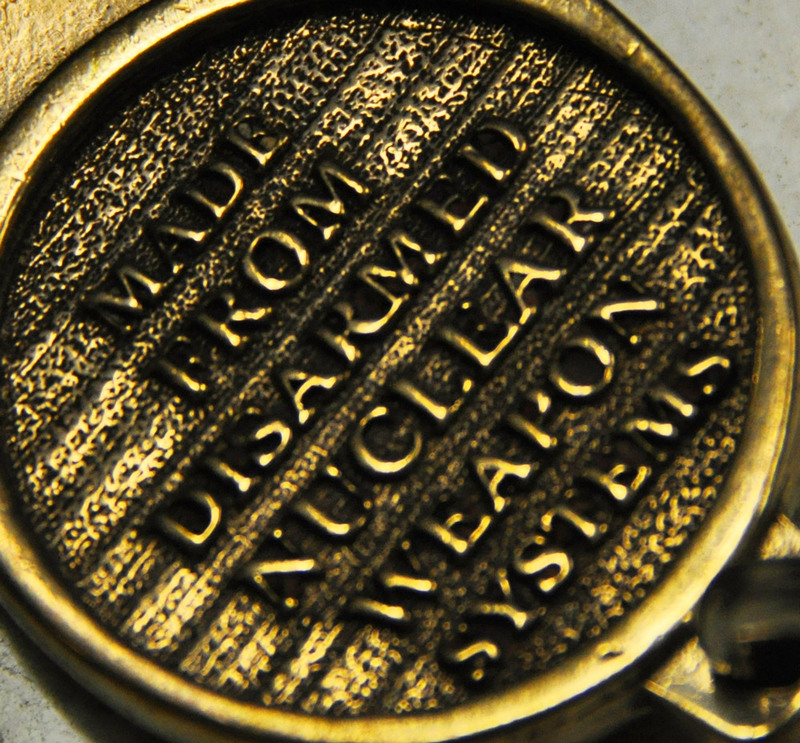 I think everyone, even die hard hawks, could agree that a world without nukes would be a good thing, even if you want to keep your daisycutters and stealthy Raptor planes, and add 2 more brigades of Marines. And if it helps open a beer, even better! bombing is definetly better than beer when has beer ever killed innocent bystanders ?? how can we have people looking for revenge for those deaths and becoming terrorists if we drank beer instead of dropping bombs ?? and without increasing war what would happen to my shares in lockheed martin and british aerospace ?? i worked hard to buy those shares!! These f**** peaceniks are just out to destroy the economy and steal everything from hard working god fearing conservatives so they can give it to the lazy, the poor, asylum seekers and terrorists ! !